Despite being the only route from the capital, the Camino de Madrid is not one of the routes most used by pilgrims from Madrid, who traditionally travel directly to the French Way or other routes to get to Santiago de Compostela. However, thanks to the work of the associations of friends of the Camino de Santiago, the local authorities and the collaboration of many pilgrims, this route is gradually becoming more well known and more and more are the walkers who plan to travel the More than 600 kilometers separating Madrid from Santiago. One of the localities of the Sierra of the capital most closely linked to the Camino de Madrid is Tres Cantos, which since 2010 has a municipal pilgrim hostel on the ground floor of its consistory and has already received more than 1,000 pilgrims since its inauguration . According to the municipality, Tres Cantos was the first locality of this route to offer accommodation to pilgrims, who can have a bed, toilets, showers with hot water, lockers for their belongings and the possibility of sealing their credentials. Pilgrims who wish can give advance notice or visit directly in the hostel of the municipality. The Camino de Madrid connects the capital with the Castilian plateau, joining the Vía de la Plata to later connect with the French Way in Sahagún and continue the path to Santiago de Compostela. 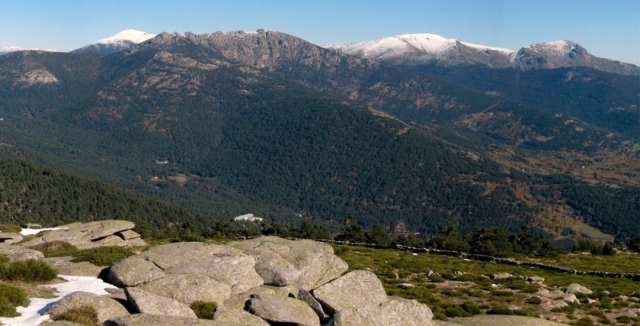 They are almost 700 kilometers of route, with some rather harsh stages that are concentrated especially in the first days, when the pilgrims must cross the Sierra de Guadarrama. Up until the middle of the last century this route was also used by the rural workers of Lucenses who went to harvest every year in Castile.